Covet International has made the move to “crowdsource” their latest colour range – seeking input directly from the Australian design community. 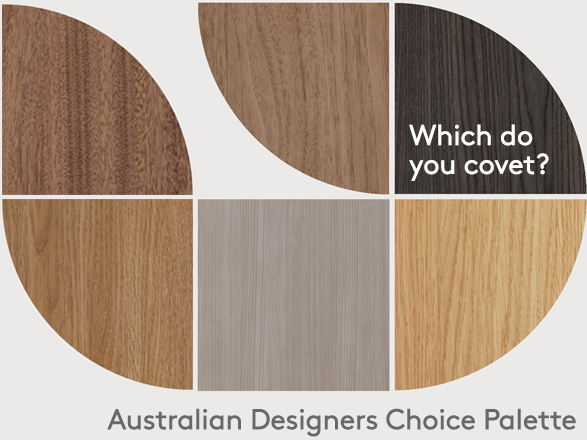 “The Australian Designer’s Choice Colour Palette 2018 is a new initiative that gives control to our customers and the wider design community. We wanted to give architects the opportunity to influence our colour palette based on where they see trends emerging now and into the future” said Anthony Scott, owner of Covet International. “We often incorporate feedback from customers in our product development – but this time we decided to do it on a larger scale”, he said. “We’re excited to see the result”. The Ever Art® Series Palette is created from actual timber species, with the range produced in Japan. The new colours released will also have Covet’s signature textures applied for enhanced realism. Covet also recently launched a new express cladding range with realistic timber finishes, evolving from feedback from the design community. The Australian Designer’s Choice Colour Palette 2018 is currently open – voting closes at 5pm on Monday 14th May.